An extraordinary account of the impact space weather had on military operations in Vietnam in 1972 was found buried in the US Navy archives, according to a newly published article in Space Weather. On August 4, 1972, the crew of a US Task Force 77 aircraft flying near a naval minefield in the waters off Hon La observed 20 to 25 explosions over about 30 seconds. They also witnessed an additional 25 to 30 mud spots in the waters nearby. There was no obvious reason why the mines should have detonated. But it has now emerged the US Navy soon turned its attention to extreme solar activity at the time as a probable cause. As detailed in a now declassified US Navy report, the event sparked an immediate investigation about the potential cause(s) of the random detonations of so many sea mines. On August 15, 1972, the Commander in Chief of the US Pacific Fleet, Admiral Bernard Clarey, asked about a hypothesis that solar activity could have caused the mine detonations. Those conducting the investigation into the mine incident visited the Space Environment Laboratory at the National Oceanographic and Atmospheric Administration (NOAA) near Boulder, Colorado, to speak to space scientists. The outcome of this investigation, as stated in the declassified US Navy report, detailed “a high degree of probability” that the Destructor mines had been detonated by the August solar storm activity. 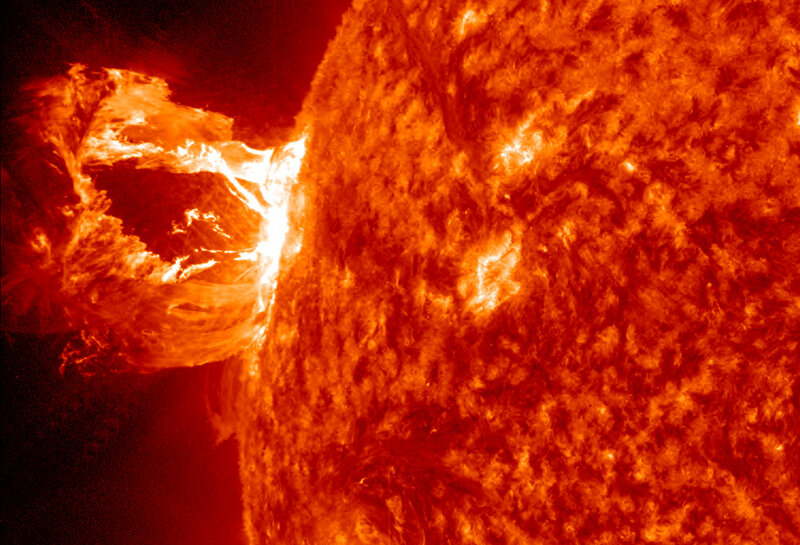 The intensity of the early August activity peaked when an X-class solar flare at 0621 UT August 4, 1972, launched an ultra-fast coronal mass ejection that reached Earth in the record time of 14.6 hours. 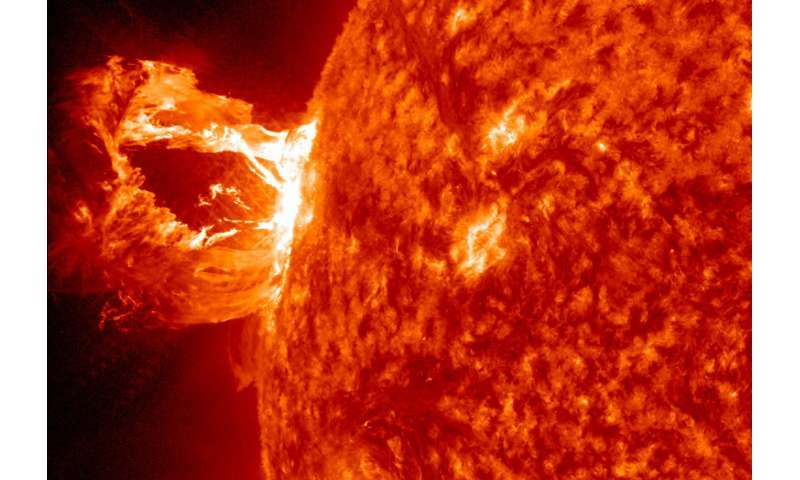 The solar wind normally takes two to three days to reach Earth. The Dst index, measured in nano-Tesla (nT), is a typical measure of the disturbance level in the Earth’s magnetic field – the more negative, the more intense the storm.